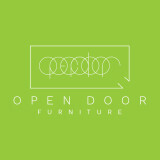 Open Door Furniture is located in San Diego, California. All furniture is handmade by us. We began this company to make great furniture, and we consider it a privilege to provide furniture for your home. Our homes are places of vitality, celebration, and serenity. We want everything you receive to be something that enhances your space, and something that you absolutely love. We select the best materials for each piece. Solid hardwood is used for our cases, legs, table tops and doors. We figured that if harvested wood can last for hundreds of years, we would just stick with nature and use good old fashion wood for our most important surfaces. All boards are inspected and laid out in several ways to ensure we find grain patterns that are visually appealing and cohesive. We then use time tested methods of construction to account for seasonal changes in the wood. This combined process ensures your furniture will remain strong and beautiful for generations. 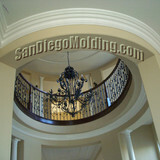 San Diego County's Premier Custom Furniture and cabinet Builder. Zonce woodworking designs and builds one of a kind furniture pieces from mid century modern to contemporary. Also designs, builds and installs custom cabinetry. At San Diego Molding we are dedicated to perfection and exceptional service, using only high-grade materials and meticulous craftsmanship. We are the only company who offers Seamless Crown Molding. Best in San Diego, and we would like the opportunity to prove it to you. Our work is unmatched and guaranteed. We are committed to providing excellent quality and low, competitive prices. Before you make any decisions, look through our web site. You'll be glad you found a company with quality you can trust. Custom Furniture and Built-ins Interior Design and Styling Handcrafted with highest standards and quality A Living Tribute - plant a tree in honor of someone. The focus at G-man Construction is to provide the absolute highest possible level of quality craftsmanship combined with years of unmatched professionalism and unsurpassed honesty. These three key factors coupled with a focus on the fundamental importance of "details" i.e., project budget and deadlines, will allow every project to realize its maximum potential with unsurpassed satisfaction upon completion. While acting as your contractor, you have my guarantee that I will not address multiple projects simultaneously because I am the contractor who treats each project, no matter the size, as if I were working on my very own home. My passion is to create amazing pieces of furniture and cabinetry crafted with a timeless sense of beauty and ease of function in design. We work with clients' needs to create enduring pieces that will stand the test of time in style and craftsmanship. Whether working with materials common to North America or exotic hardwoods from around the world, we strive to bring out the innate beauty of materials and add a depth of grace that is uncommon. are a business performing Custom Woodwork, Trim work, Custom Cabinetry, Casework, Fine Furniture, Design and Product Development. We have been in this business for over 20 years. Averett Custom Carpentry is licensed, bonded and insured. We pride ourselves in being proficient in all the trades...plumbing, electrical, cabinetry, tile and having excellent site management resulting in high quality, yet affordable results. Check out our pictures for recent project completions. No project is too large or too small. We serve all of San Diego County and able to complete residential and commercial projects. To contact me, please email. No sales calls please! Have a great day! Decorative Mouldings started in 2001 by Mike Haug when he decided to focus his contracting business on the specialty of installing crown moulding and other interior trimwork. Mike has been a licensed contractor for over 20 years and grew up working in his family's residential and commercial painting business in Southern California. Interestingly enough, painters who follow Mike's work to paint the moulding after it has been installed frequently comment on the quality of the miters and seams, noting that it requires very little prep work before painting. Mike is not only a principal in the business but he is also the person you will meet with to discuss your project and he will be on site performing the work personally to ensure that it is done to the highest level of quality workmanship. 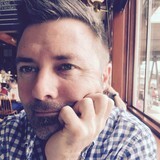 Known for his acute attention to detail and conscientious work ethics, Mike completes each project with the goal of exceeding the customer's expectations. Because of this, much of our business comes from referrals and word of mouth advertising. You yourself may know someone who has had their home beautified by one our services. Be sure to click on the testimonials page to read for yourself what other customers have said about their decision to hire Decorative Mouldings. All of our work is covered under our $1,000,000 general liability policy and we are, of course licensed. Our license information appears at the bottom of this page. We encourage you to always ask for proof of licensing and insurance. You can research a contractor yourself by clicking the link below to go to the website of the Contractors State License Board of California. It is very important for the consumer to be savvy, especially in these more challenging economic times. We will never forego important insurance in order to cut costs. Our recommendation to you, don't hire a contractor that has. Over 20 Years experience in the home remodeling/restoration business. We have a range of experience from Kitchens, Flooring, Doors and Windows,and everything in between. Although our specialty lies in custom bathroom renovations. Getting you the most bang for your buck is our standard. Small one man local business located in North County San Diego. Specialized in Finish Carpentry and licensed since 1988. Custom made woodworking, Cabinet maker, repairs and installation, rough and finish carpentry. We specialize in the installation of doors, decorative moldings and antique barn wood. Handy Craftsman offers great service and highly skilled solutions for every project in your home or business. The emphasis is on quality and service at a reasonable price. Let us take care of all your home maintenance and remodeling needs. Established in 1989. Our Motto: "Handcrafted Excellence" My name is Bill Bastian and I have been doing high-end finish carpentry and specialty woodworking since 1989. 25 years of making it right. I am licensed C-6 (#657990 cabinets, millwork and finish carpentry) and bonded. I specialized in custom Stairs, Railings and Mantles for 12 years. During the next 8 years I branched out to more phases of finish carpentry and general construction. Virtually all of that experience was in high-end custom homes. The last 5 years have been focused on the whole picture. Being a one stop shop for home owners and businesses alike. From minor repairs to the remodel of your dreams; I am happy to serve you! Before my woodworking career I spent 8 years as a precision machinist/jig and fixture builder in the Aerospace industry. Thanks for your interest. I look forward to working together on your project. I vow to take very good care of the scope of work and you as my client. In need of some woodwork? Chances are you’ll want to hire a San Diego, CA carpenter. Carpenters work with all types of wood and can specialize in many different areas, including framing, finishing and custom-made furniture. Make sure you choose the right San Diego carpenter for your job by asking plenty of questions, viewing their past work and reading reviews.